In the process of proving you don't have to be big in order to win, Royce Gracie became...big! 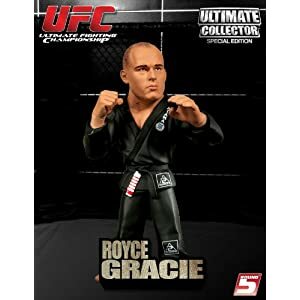 Weighing in at only 175 pounds, Gracie won at UFC 1 on his twenty-seventh birthday on December 12, 1993 in Denver, Colorado making him the first Ultimate Fighting Championship (UFC ) champ ever. The event was the first of it's kind, where mixed martial arts were used, allowing artists of various backgrounds to compete against each other. Royce Gracie, skilled in the art of Jiu Jitsu, found it the perfect opportunity to make his statement. "The idea of Jiu Jitsu is to give the little guy, a chance to beat the big guy,” Gracie once said. “It will open everybody's eyes, especially the weaker guys, that you don't have to be a monster to be the champ. You don't have to be the biggest guy or the one who hits the hardest. And you don't have to get hurt in a fight." 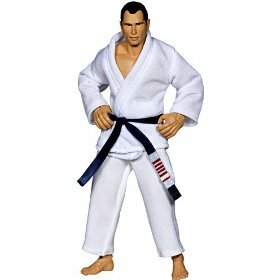 Royce Gracie would spend his fighting career establishing those facts and demonstrating what it did take to win, technique. In doing so, he devised a system of Jiu Jitsu which is now known as Gracie Jiu Jitsu. Jiu Jitsu literally translates to mean “the art of softness”. It is a martial art form based on neutralizing the opponent and using his own energy against him, focusing on grappling, trapping, throwing, joint locks and holds. Royce Gracie got his start with Jiu Jitsu early. Born on December 12, 1966 in Rio de Janeiro, Brazil, he was only a toddler when he began learning the art from his father and older brothers and was competing at age 8. By 16, he had earned his blue belt. Royce Gracie comes from a family of fighters. He is the son of Helio Gracie who along with his brother, Carlos Gracie (Royce's uncle), founded Gracie Jiu Jitsu which is internationally known as Brazilian Jiu Jitsu. At the time of his death in January 2009, Helio was the only living 10th degree master of the art and was a 6th dan in Judo as well. Gracie's brothers, Rickson, Relson, Royler and Rorion, are avid Jiu Jitsu practitioners and world-renowned fighters as well. In fact, Rorion moved to California and taught Jiu Jitsu from his garage. When Royce Gracie was 17, Rorion invited him to move in with him to help with the classes. Royce accepted the offer. At the age of 18, Royce Gracie earned his black belt. 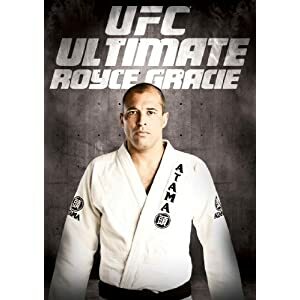 Shortly thereafter, he put out the “Gracie Challenge” in which Royce supposedly offered to fight any competitor in a No Rules contest that would be won by knockout or submission. Though it is speculated the prize would be $100,000, that claim was denied by Royce Gracie. In 1993, brother Rorion masterminded an event he hoped would show Gracie Jiu Jitsu to the world. That event was the Ultimate Fighting Championship or UFC. He also came up with the idea for his brother, Royce, to represent the family style of Jiu Jitsu. 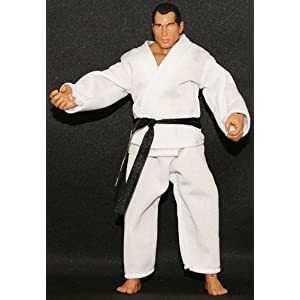 Royce Gracie seemed the perfect Gracie brother for the task since he was the smallest and the object was to prove the effectiveness of the style of martial art, despite the strength or size of the man. Outweighed by an average of 50 pounds per opponent, Royce Gracie reigned victorious over three highly skilled fighters in the two hour tournament. His career was “on”. UFC 2 featured 16 MMA contenders, twice as many as UFC 1 had. It was held on March 11, 1994. 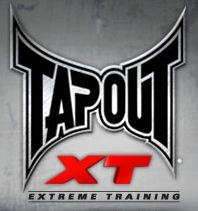 It was titled, “No Way Out” and rightfully so as it, like UFC 1, could only be won by submission or knock-out. Again, Gracie showed his stuff and won against his four opponents, Minoki Ichihara, Jason Delucia, Remco Pardoel and Patrick Smith. It is said that all good things must come to an end and such was true for Gracie's winning streak. In UFC 3, though Gracie defeated Kimo Leopoldo by submission due to an armbar. He re-entered the ring, dehydrated and fatigued, to fight Harold Howard only to concede before the match ever began. UFC 4 was held in Tulsa, Oklahoma in December of 1994 and Gracie was back in full force. In the eight-man tournament with no weight classes, no weight limits, no time limits or rounds and no judges, Gracie won the event with a triangle choke on Dan Severn. Gracie met up again with Ken Shamrock who he had defeated in UFC 1 in 1995. Time limits had been were re-introduced for the tournament. Shamrock was the first to outlast Gracie's submission attack and the fight ended in a draw after the thirty minute time limit and five minutes of overtime. By this time, Gracie had really made a name for himself. Fans flocked to see him and aspiring martial artists were inspired by his might despite strength and size. His popularity did not go unnoticed and he was inducted into the UFC Hall of Fame in 2003. It was the first induction ever, an honor he shared with Ken Shamrock. Sakuraba was a former professional wrestler who used catch wrestling as his form. He fought for the Pride Fighting Championship, an organization founded in Japan in 1997. Sakuraba challenged Gracie and Gracie accepted. The two squared off in the Pride Grand Prix, a 16-man tournament with such heavyweights as Mark Kerr, Igor Vovchanchyn and Mark Coleman. But Gracie was mostly interested in settling the score with Sakuraba. To get to Sakuraba, Gracie defeated Nobuhiko Takada. Sakuraba and Gracie then battled it out in a submission or knock-out only match. The fight went on for 90 minutes with Gracie's goal being to take Sakuraba to the ground where he could apply his best Gracie Jiiu Jitsu techniques. On the other hand, Sakuraba's objective was the exact opposite. The match was intense from the beginning with Sakuraba's knee-bar coming close to ending the fight early on. Once free from the knee-bar, Gracie applied a guillotine choke that Sakuraba barely escaped from. Ultimately, Gracie was unable to take Sakuraba to the ground and lost the match, throwing in the towel at intermission. Gracie left the ring with a broken foot and bruised pride. Gracie fought again in Pride's Shockwave 2003, taking on Japanese gold-metalist, Judoka Hidehiko Yoshida who mastered in Judo. But that match didn't turn out well for Gracie. The referee called the fight because he thought Gracie had been chocked out on the ground and was deemed unconscious though Gracie immediately argued he was never unconscious . There would be only more more fight with Pride for Gracie. It was a rematch with Yoshida which, after two 10 minute rounds, ended in a draw. Pride did try to get Gracie to fight again to no avail. Gracie fought next in K-1 in December of 2003 in an event called “Dynamite”. K-1 was founded in 1993 by Kazuyoshi Ishii who was practiced karate but set up the organization for various martial artists representing forms such as Kickboxing, Muay Thai and Jiu Jitsu to compete against each other to determine who was the number one fighter in the world. The fight was against Sumo Wrestler, Akebono Taro, who seriously outweighed him. Gracie did not let his family, his fans nor himself down and answered the challenge forcing Taro into submission in the first round. Hideo Tokoro was his next opponent in K-1 a year later. The match ended in a draw. Gracie did return to fight in the UFC at UFC 60 in May of 2006 where he went up against Welterweight Champion, Matt Hughes. Though Gracie trained earnestly and even took up Muay Thai to enhance his Jiu Jitsu techniques, he lost the fight in the first round due to a Technical Knock Out. In June of 2007, Gracie set out to settle the score with long time family rival, Kazushi Sakuraba who he had lost to in 2000. Gracie won in a unanimous decision. The victory would be short lived, however. Gracie was charged by the California State Athletic Commission for testing positive for the steroid, Nandrolone and the win was given to Sakuraba. To this day Gracie denies any use of the drug. Along with fighting, Gracie is passionate about teaching the art of Jiu Jitsu as well. Even the gym has become big in teaching you don't have to be big to win.. The gym Royce Gracie and his brother started in the garage in Torrence, California is now one of the largest in the nation with branch locations all around the world and even a Gracie Academy online. It is estimated there are close to 17,000 students in 139 countries. Many of the Gracie family members teach at the gyms in addition to Royce and Rorion, including Rickson, Roger and Renzo. There are even videos to teach you Gracie Jiu Jitsu. Recently he came out with a fitness video as well, showing you how to train for mma. Not only does Gracie teach students at his gym, he has taught Chuck Norris, Nicholas Cage, Guy Ritchey and Ed O'Neal. He has also worked with the CIA, Navy Seals, Secret Service, Army Rangers, DEA, FBI and other law enforcement organizations. He is so popular they have an Royce action figure. Gracie not only keeps up with a rigorous training and workout routine, he finds time for his wife, Marianne and three sons, Khonry, Khor and Kaydon. 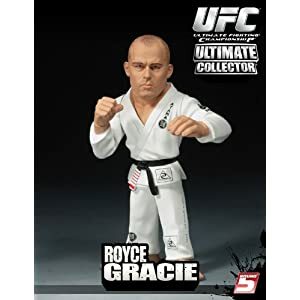 It is safe to say that in proving to the world that you don't have to be big to win, Royce Gracie has become bigger than big, he has become enormous. He holds the record for the second most knockouts, in the UFC (Silva is first). With a record of 21-8-0 he was a force to be recokoned with. 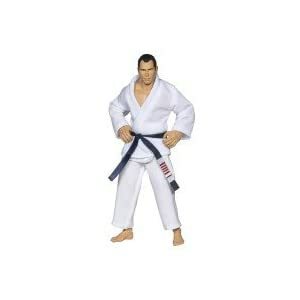 He is one of the most popular MMA figures of all times.